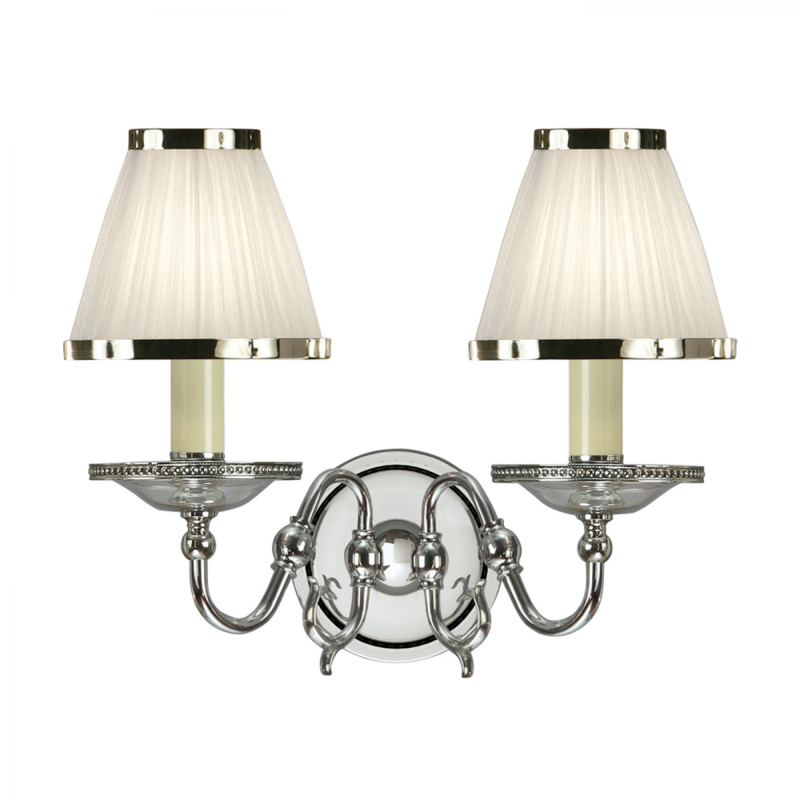 The Happy Homewares twin wall light is a beautiful classic design with glass bobeches. It comes teamed with white shades with a matching polished nickel trim. Matching items available. 28.5cm projection x 31cm height x 43cm width. Bulb information: 2 x 40W E14 candle - not included. Material: Steel & crystal glass & fabric. Voltage: 220-240V.